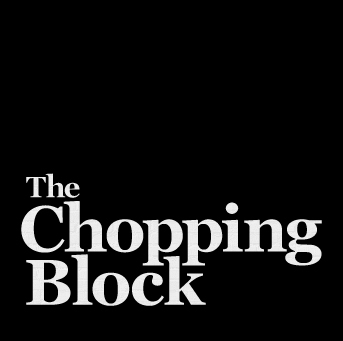 In April of this year, The Chopping Block launched a new website. At over 100 pages, it was a labor of love and took almost a year to complete. We knew it was the right move when we started receiving positive feedback from our customers that the new site was easier to navigate and find what they were looking for. The analytics after just a few months after we launched were also promising. We were even more validated when we took home the HubSpot award for Best COS Success Story at the annual conference in Boston a couple of weeks ago. 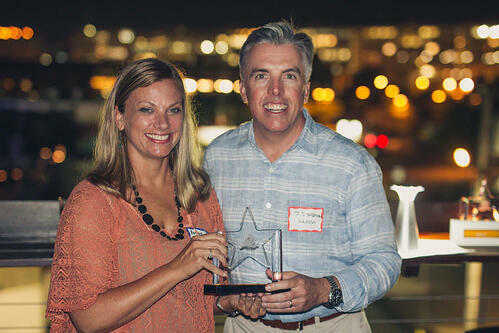 Here I am accepting the award from HubSpot's COO JD Sherman with beautiful Boston Harbor in the backdrop. So, what is HubSpot, and why is this such a big deal? HubSpot is inbound marketing automation software, which I use to write, edit, optimize blog posts, monitor and schedule social media posts and update our website content. Yes, you read that right. I am a marketer, not a web developer. I don't know a lick of code and yet every day, I am able to update The Chopping Block's website all on my own. With impending changes coming from Google that would penalize websites that weren't optimized for mobile this year, we knew we couldn't wait any longer to take the plunge with a new site. 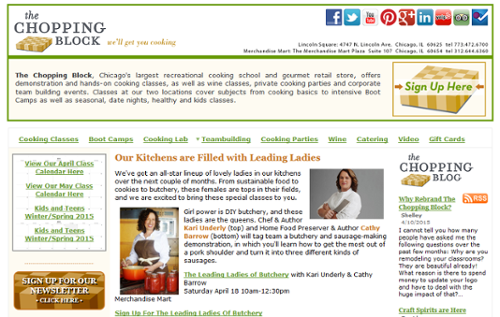 We also knew our old website no longer spoke to who The Chopping Block is as a Chicago cooking institution. As one of the busiest recreational cooking schools in the country, we have state-of-the-art kitchens and world-class chefs, but our website didn't keep up as we evolved over the years. 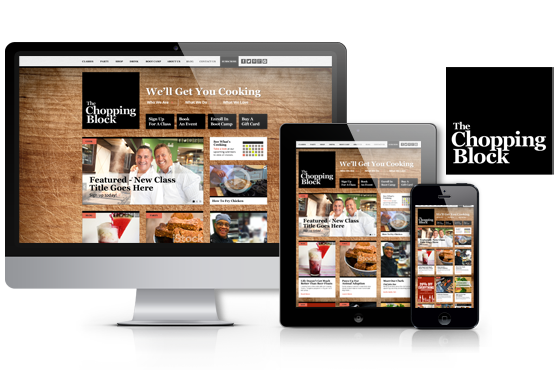 We speak often of The Chopping Block experience but this site no longer delivered that to our customers. The new site does that, plus allows us to really capitalize on all of the inbound marketing we've been doing for years through our blog, email newsletters, how to cook videos and social media channels. This new site includes clear calls-to-action, landing pages and lead capture forms. Our visitors can now move easily through the site and navigate our content without being overwhelmed with information they don't need. HubSpot recognized this transformation with our recent success story award. With 150 submissions among five categories, the competition was steep in the inaugural HubSpot Customer Awards which highlight and celebrate customers who have achieved remarkable results using HubSpot's marketing platform. Needless to say, we are thrilled to receive this recognition but even more importantly, we are excited to continue to adapt our site to meet our customers' needs. Have thoughts on our new site or suggestions for us? I'd love to hear them in the comments.